Take your suit style to the next level and add some Italian style Giovanni dress shoes. 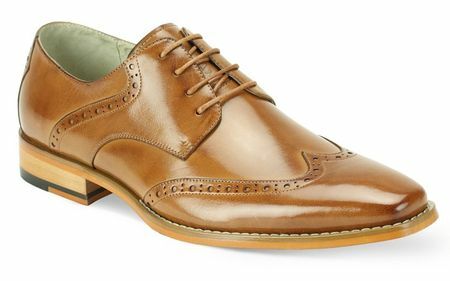 These sharp looking dress shoes for men feature an Italian wingtip style that is undeniable sleek looking. Made of shiny polished tan color leather with leather lining in a Medium width.